No one makes Kathleen sing along like Willie Nelson. He was having that effect on most people at the Santa Barbara Bowl last week. 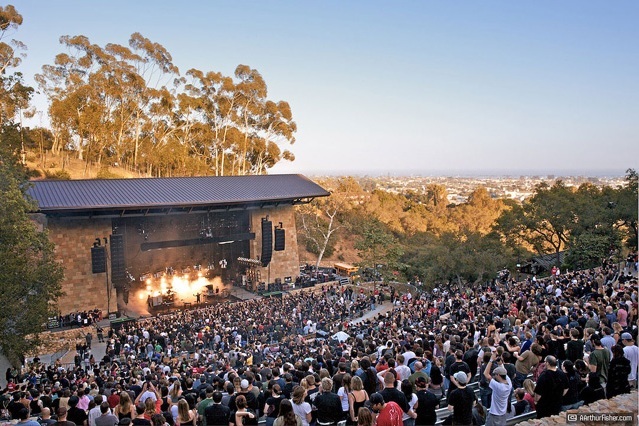 Why the Santa Barbara Bowl, you ask? Because we could get cheap tickets for $50, and that’s as much as I will pay. There were 5000 people there; I guess the concert took in $500,000. The cheapest tickets for the Los Angeles concert were $80 in a 7000-seat venue—you can do the math. Anyway, it’s nice to have an excuse to go to SB. And sitting at the back in the cheap seats you can see the ocean. 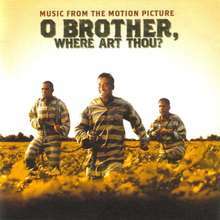 In addition, why is it called the Santa Barbara Bowl, Alison Krauss asked. Yes, why? Maybe they had an excuse to charge a lot because the concert was a double-header. Alison Krauss is not your average opening act, though the people in the expensive seats were the average expensive-seat-audience in failing to arrive for the opening act. This was unwise because Alison and her band can carry a concert on their own, and usually do – they were the main act the previous time we saw them, four years ago, a couple of weeks after I had my prostate out, but that’s another story. Alison has the world’s best player of the dobro (a lap steel guitar), Jerry Douglas. She also has Dan Tyminski, whose voice you hear coming out of George Clooney’s mouth in Oh Brother (Dan’s wife says that her husband’s voice and Clooney’s face constitutes her dream man). But most of all she has her own pure, subtle, elegant, mesmerizing voice. I’m still humming “Baby, now that I’ve found you.” But she sang fewer songs than I expected; I think because she is careful about not overdoing it because she has had vocal chords trouble. But anyway she is also a formidable fiddler. She is bluegrass for people who don’t like bluegrass. 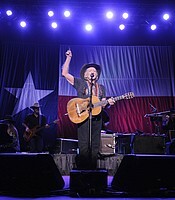 When Willie Nelson came on, a giant Texas flag dropped behind him. One also has to comment on his age (82), but over against Alison its significance lies in one’s sense that he has lived in his songs for so many decades. The voice that’s husky or gravelly (not pure like Alison’s) helps to convey that impression. The songs come from deep inside. Maybe that’s especially true of On the Road Again, but it’s also somehow true about the songs that don’t necessarily relate to his own experience. Kathleen and others were especially vocal during Mammas, Don’t Let Your Babies Grow Up to Be Cowboys with the telling line, “They’ll never stay home and they’re always alone, even with someone they love.” A striking aspect of Willie’s set was the way he letting one song flow into the next seamlessly without missing a beat, song after song. Another striking aspect was that most songs lasted two minutes and twenty-five seconds, presumably because they were written by people such as Hank Williams back in the days of 78 r.p.m. records when every song had to get itself over in that time. Willie’s band was only himself plus two percussion (! ), bass, harmonica, and keyboard, which made for a crisp, clean sound. 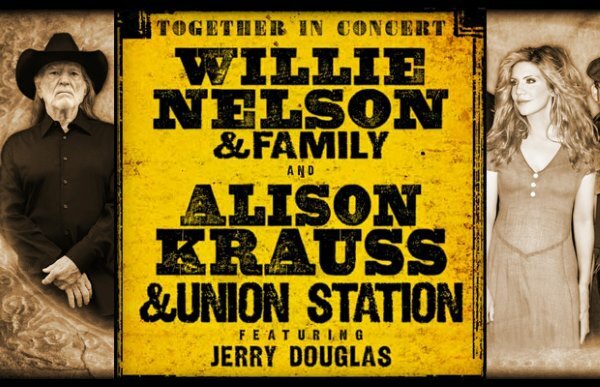 It gave great prominence to the virtuoso harmonica, and it also exposed Willie’s guitar work in a way that made clear what a virtuoso he himself is.